The Stark Online: New David Dondero "Wherever You Go"
New David Dondero "Wherever You Go"
[mp3] David Dondero: "Wherever You Go"
We've always known David Donero as a songwriter capable of great heights, but plagued with a nagging inconsistency. He's one of those artists you just hope will drop that amazing cover to cover record you know he has in him - the talent is there, the voice, the writing - yet, for some reason, he can't seem to break through the barriers in his writing and the industry that have kept him at bay for many years. He's a songwriter's songwriter -- Dondero makes you listen, makes you analyze, and on this track, makes you wait about a minute before playing the song. That's a jokey jab, at what is after the first few listens, a strong first offering from #Zero with a Bullet Donero's new album dropping 8/13 on long-time home Team Love. 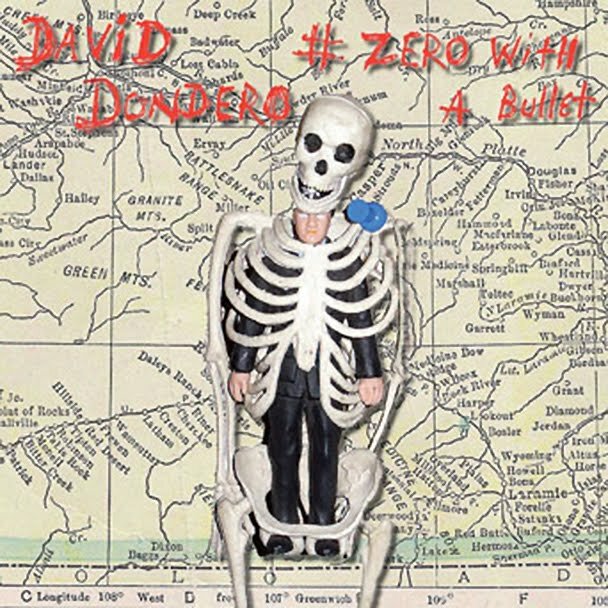 Here's to hoping this is Dondero's break through, but if it's not, David Dondero will remain a terrific songwriter, with many worthwhile highs interspersed through his catalog, and someone we will always pay attention to and cover for albums to come.